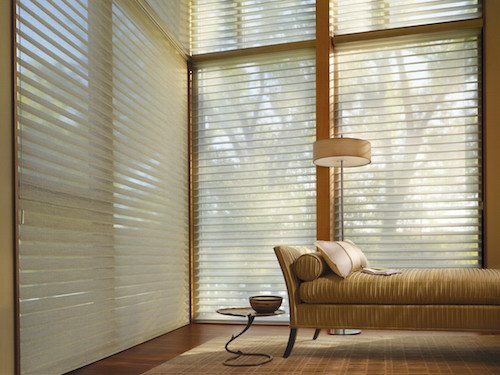 Silhouette Window Shadings are the perfect window shades to freshen up your space in Spring. Silhouette® Window Shadings were designed in 1991 by Hunter Douglas and they still are a tried and true window shade in homes in Brooklyn, New York City, New Jersey and Staten Island. If you want to filter light beautifully into any room in your home, Silhouette® Window Shadings just might be the solution. Sunlight can be harsh in the warmer months. It’s important to be able to control the amount of sunlight in your space for a number of reasons. First and Foremost, you will want to protect the investments made in your home. Furnishings, artwork, and furniture can fade prematurely when exposed to sunlight. Silhouette® Window Shadings transform the sunlight entering into your room and protect your home décor from harmful UV rays. You can even purchase room-darkening or blackout shades to block sunlight. You can enjoy an amazing view through on your sheer window shadings without compromising privacy. 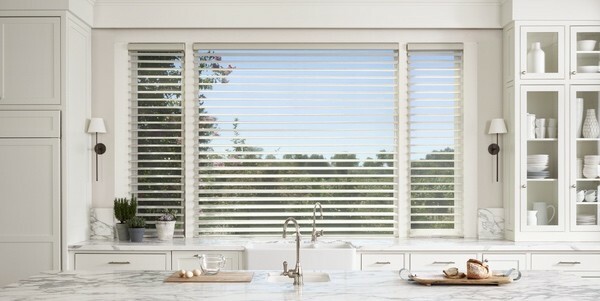 View your world in a whole new light with Hunter Douglas Silhouette® Window Shadings. All while keeping your interior private from the outside world when your window shades are in a closed position. Preserve your view of the backyard, patio, deck, or city skyline without unobstructed cords. Enjoy clear views with cordless Hunter Douglas shades. Silhouette® is available with Hunter Douglas PowerView® Motorization. Operate your blinds and shades automatically by just pressing a button on your favorite mobile device. Silhouette® can be operated by app on iPhone, Android, tablet or you can use the Pebble® Remote Control. Hunter Douglas PowerView® Motorization is great for large windows, hard to reach windows or if need to operate lots of blinds and shades simultaneously. As the weather gets warmer from Spring to Summer you’ll want to reflect warm light so you can maintain a comfortable and cool environment. Silhouette® allows you to create the perfect ambience on your living room windows, dining room windows and bedroom windows. They are very functional window shades and operate effortlessly simply by tilting the vanes in the position you desire. If you have a sliding glass door next to another window that requires a horizontal window covering, you can coordinate Silhouette® Window Shadings with Luminette® Privacy Sheers. The vertical and horizontal sheer shadings side-by-side create an unrivaled look on the window. Silhouette® Window Shadings are now available in Soft Touch® a cordless operating system. Coming Soon! Ask United Decorators for details. 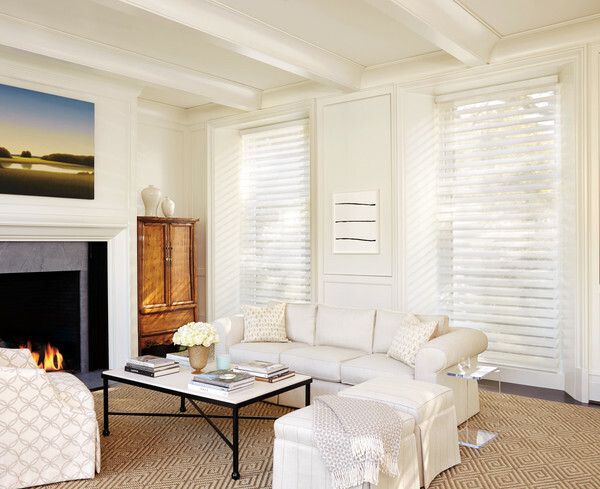 Be on the look-out for the Hunter Douglas Celebration of Light promotion which will offer valuable rebates on these stunning window coverings beginning April 14th – June 25, 2018! You can schedule an appointment to visit the recently renovated Hunter Douglas Gallery showroom at United Decorators where Silhouette® Window Shadings and Luminette® Privacy Sheers are on display along with the full-line of Hunter Douglas window fashions. United Decorators offers a Free Design Consultation and you can request an in-home appointment with a window treatment expert. It’s recommended to have a window treatment professional measure and install your window shadings or blinds to ensure an exact fit on your windows. 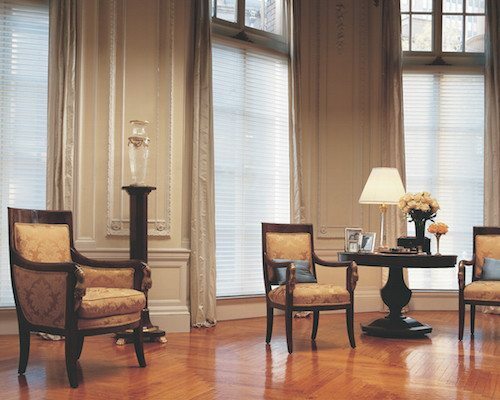 United Decorators is the premiere window treatment company serving Brooklyn, Manhattan, New Jersey and Staten Island for over 45 years. Contact or call United Decorators at 718-253-9300 to schedule an appointment today.